Yes indeed. Back on track after a fab week on the sunny island of Kos; not a cloud to be seen and temperatures in the mid-30s Celsius - not bad for September. I'd never visited Kos before but I'm not surprised it's the fourth most popular destination in Greece after Crete, Rhodes and Corfu. Situated in the Dodecanese and within touching distance of Turkey - which is why this year's earthquake, centred on the Turkish city of Bodrum, caused such damage across the strait in Kos Town - the island has a lovely relaxed feel to it, and more bicycles per head of population than Beijing. There are thousands of bikes for hire and miles of cycle-tracks in the towns and around the coast. Because Kos is relatively small (30 miles long and six wide) and relatively flat, cycling is a popular way to get around, making the island a bit like the Netherlands only with palm trees and permanent sunshine. Most squares and beaches and many tavernas are equipped with cycle-racks - all very eco-friendly. Add to that the stunning scenery (example below) and the unfailing friendliness and hospitality of the locals, and I can understand why Kos has one of the highest revisiting rates. I certainly hope to go there again (though perhaps not sixteen years in a row, like one couple we met). Such friendliness has its basis in filotimo (φιλότιμο) considered to be the highest of Greek virtues, essentially a way of life. It literally means 'doing good' but really encompasses walking in right paths (on track!) and showing kindness and respect to all. "If we can find the cause, we can find the cure." "Bad digestion is the root of all evil." "Let your food be your medicine and your medicine your food." "Wherever the art of medicine is practised, there is also the demonstration of humanity." "Health is not merely the absence of disease, it is the balance of mind, body and soul." 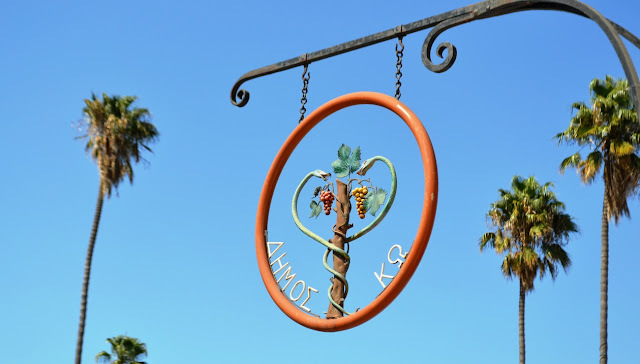 Natives of Kos are known as Koans and the students and successors of Hippocrates were sometimes known as the Koan school. As I lazed on one of the island's beautiful beaches it occurred to me that Koan is a homonym and I started thinking about koans, those cryptic sayings beloved of Zen Buddhists, like "Imagine the sound of one hand clapping" that are used to provoke thought or contemplation and designed to lead the student to greater awareness and a realisation of the interconnectedness of all things. Life is short, the learning is long. How can its lessons be learned young? And if you founder, consider the whole. When everyone is a doctor, who is the sick man? Excellent, young Steve. Pleased you had a happy holiday. A fascinating read. I really look forward to these each week. I've no idea what a koan is but it makes a great poem. Thank you. Well Steve you never disappoint ! 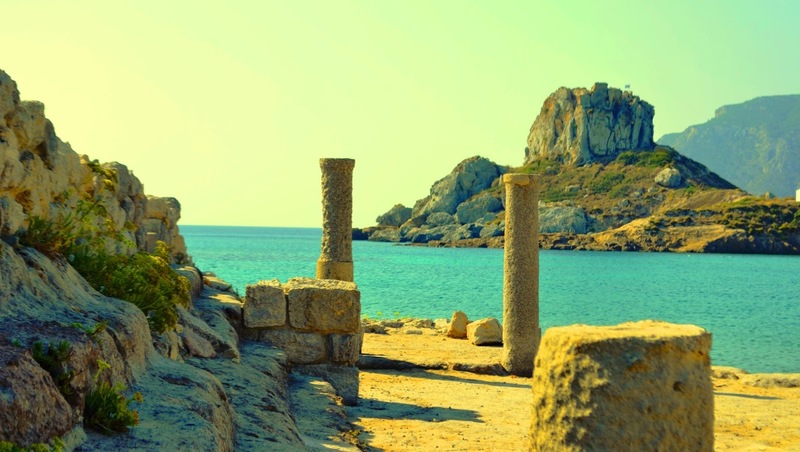 I now want to see Kos although i would have to go in its " quieter " time be there such one ? Do hope you are well dear chap and not feeling too dismal re your return to Blighty and your shorts to the wardarobe! A most interesting blog, food for thought! Great photographs as well. You write with great style. I enjoyed this very much. Love Kos too. 'the sound of one wave lapping...' Ha ha ha - what a great blog. I loved it. Yeah - just yeah. An inspiring read. Echoing other comments - a great piece of writing.